We have received 55 reviews of Ink . You can add a review or scroll down to read reviews. To send in your review of Ink , please fill in the info below and click the button labelled Send Review Now. Reviews will be checked by our team before they appear on the website. Your last name will not appear on the site, but we need to know who you are in case you win a prize! Alice Broadway was born in 1980, the youngest of three sisters. She was raised in an evangelical Christian community not far from Oxford, before leaving the church in 2014. She moved to the north with her husband where she now lives with her three children. She began writing blogs which rekindled her dream of becoming an author. In 2013, she tried her hand at NaNoWriMo. Short for National Novel Writing Month, this is an internet hub of budding writers who each spend the whole of November working on a book, from start to finish. The novel became Ink, the first of the Skin Books Trilogy. In Alice Broadway's debut YA novel, Ink, the first in a trilogy, people's lives are literally written on their skin, in the form of tattoos marking significant events. On their death, the person's skin is flayed and turned into a book of remembrance for their loved ones to keep. When Leora's father dies she discovers that his ink has been edited and his book is incomplete, meaning that he will be considered unworthy of being preserved - unless Leora can discover what really happened to him. Soon she is forced to question everything she once believed in, including the truth about the un-tattoed 'blanks' . I must admit at first I was not looking forward to reading this book, but really enjoyed it. It was very interesting and made me want to read more. I would definitely recommend this book to a friend. Poppy gave Ink 4 out of 5 and now plans to read I Have No Secrets by Penny Joelson. The world that’s been created in this book is really original and clever. The book explores themes of public perception and discrimination which is explored through a protagonist that is forced to look at both sides. Granted, the book starts off a little slow but it really helped make a foundation where the plot can bounce off on and it helped developed the really strong, distinct characters. What I really loved about this book were all the little anecdotes that really supported the story and were interesting on their own! Aaron gave Ink 5 out of 5 and now plans to read Girls Can't Hit by T S Easton. Erin gave Ink 3 out of 5 and now plans to read Welcome to Nowhere by Elizabeth Laird. Ink is an amazing book about the difference in society, discrimination and religion. In Ink everyone has tattoos and they represent stories which puts you out there to everyone who can see you. I think what Ink does really well is its perspective on the world. You are following Leora a bright girl who can draw well. She is accepted into one of the leading tattoo studios and that is how it is for the rest of the book. In this book if you are not marked (tattooed) you are sinful and will not go forward once you die. These people are called blanks and they are considered outcasts. I think this relates to medieval Christianity and how it was used to make money and scare people into order. This book is well worth a read not only that a second, a third... this book is great and It was one of the first books in a while that I thoroughly enjoyed. William gave Ink 5 out of 5 and now plans to read Dragon's Green by Scarlett Thomas. I found that the start of the book was very slow and hard to understand because of "Reading people." How can you read a humans life? Even though the start was very slow the book later on improved significantly and was easy to follow. The connection to the characters was one of the best parts as you could imagine being related to each and every character. Ben gave Ink 4 out of 5 and now plans to read Dragon's Green by Scarlett Thomas. Ink was a page-turning book that constantly made me want to read on. Although at first I found this book hard to follow, I enjoyed the way tales were intertwined with the storyline making the book feel more homely and sending me into the book even more. I loved the strong personalities of all of the characters especially the unknown about Obel. A really twist-filled book with an ending that filled me with emotions. Maddie gave Ink 3 out of 5 and now plans to read Dragon's Green by Scarlett Thomas. I've never read a book before where it revolves around tattoos but I liked it. The author did an excellent job at describing the characters and she had an awesome storyline through out. This book had a slow start but almost straight away I got into it. This might be one of my favourites so far. Ellie gave Ink 5 out of 5 and now plans to read Dragon's Green by Scarlett Thomas. I really didn't like this book because the beginning wasn't interesting and it never made me want to read on. Also it was really confusing. Thomas gave Ink 1 out of 5 and now plans to read Dragon's Green by Scarlett Thomas. I really enjoyed this book because it was really interesting and it was a really good page turner. I think my favourite bit was when Leora found out what her dad had done to get the crow marking. The fact that they get everything tattooed on their skin from their whole lives is a pretty good idea because then they have nothing to hide which I really like. Personally, I can't think of any possible improvements for this book. I would recommend it to others who like adventure and something different to read. I didn't think I would like it and it is one of the best books I have ever read. Harneeka gave Ink 5 out of 5 and now plans to read Dragon's Green by Scarlett Thomas. This books biggest problem is the fact that with this being such an interesting world the author had two options: flesh out the world and not the characters or the other way around. This results in the world being the most interesting element of the book and characters that could be interesting but are given enough time for this to happen. This results in a amazing world being inhabited by cookie-cutter characters and this is the biggest flaw. I couldn't care less if Leora is forgotten, I couldn't care less if verity lost her job. I couldn't care less if this book was burned. Jake gave Ink 2 out of 5 and now plans to read Dragon's Green by Scarlett Thomas. Jacob gave Ink 4 out of 5 and now plans to read Dragon's Green by Scarlett Thomas. Overall I found this book a bit boring and slow. I felt that it started to get interesting towards the end because of the fact that it created a tense atmosphere, which made me wonder what will happen next. I especially enjoyed the deeper meaning to everything and that you sometimes had to read between the lines. To conclude I think this book is great for people who like this kind of read. James gave Ink 3 out of 5 and now plans to read Dragon's Green by Scarlett Thomas. Although it started off being a bit confusing, I gradually began to get to grips with the story line. I think this book is unique due to its description of how evil the blanks are. It demonstrated this through the nightmares Leora experiences. Anna gave Ink 4 out of 5 and now plans to read Dragon's Green by Scarlett Thomas. I HAVE ALREADY WRITTEN A REVIEW ABOUT THIS BOOK BEFORE BUT BECAUSE IT IS SO GOOD AN INFORMATIVE I PERSONALLY BELIEVE THAT I DID NOT COVER EVERYTHING. THIS IS TRULY A SENSATIONAL BOOK AND IN THIS REVIEW I WOULD LIKE TO TAKE THE OPPORTUNITY TO TALK ABOUT HOW THE BOOK PORTRAYS THE MAIN CHARACTER IT MAKES HER COME ACROSS AS SOMEONE WHO WOULD FIGHT FOR WHAT SHE BELIEVED IN AND WOULD FIGHT WITH PASSION BUT MAYBE NOT A SENSE OF HONESTY AS SHE IS QUITE A SECRETIVE CHARACTER(IN MY OPINION).I THINK THIS BECAUSE SHE IS QUITE SECRETIVE TOWARDS HER FRIENDS AND CLOSE FAMILY MEMBER AND WITHOUT GIVING ANYTHING AWAY I WOULD JUST LIKE TO SAY THAT I THINK THIS IS DUE TO THE SAD CIRCUMSTANCES OF HER HARD AND DEEP LIFE.TO FINISH I WOULD LIKE TO SAY THAT SHE IS A GREAT CHARACTER AND SHE REALLY MAKES INK A INTERESTING AND (AS I SAID BEFORE)INFORMATIVE CHARACTER . ELYCIA gave Ink 5 out of 5 and now plans to read I Have No Secrets by Penny Joelson. To me ink started off on the wrong foot. I found it a bit slow and overwhelming at the beginning, but at one point all of a sudden it started to get a bit more interesting and intriguing for me. I found that I really enjoyed the story line and that I really started to understand the complexity of imagination that the author put into it. I feel as though the author really made a staggeringly great attempt at making such a vivid idea and story line. I think that ink is one of my favourite books because of all the imagination and great ideas that were put into this written masterpiece. Charlie gave Ink 5 out of 5 and now plans to read The Extraordinary Colours of Auden Dare by Zillah Bethell. I found this book a bit predictable and boring at times, and Leora slightly annoying, but it is a very original and descriptive book. The characters are complex and every detail is well thought out.It drags on at the start, but gets more exciting after a while, and the ending leaves you on a cliffhanger. I'll definitely read the next book in the series. Tara gave Ink 4 out of 5 and now plans to read Welcome to Nowhere by Elizabeth Laird. Sneha gave Ink 5 out of 5 and now plans to read Welcome to Nowhere by Elizabeth Laird. This book is about a young adult named Leora getting over her dads death and finding her place in a tattoo driven world. The characters in this book believe that everything you do in your life should tattooed on your skin for the world to see. I think that this book is heart warming and meaningful. However I think that the ending was a bit lack-lustre compared to the rest of the book. Alfie gave Ink 4 out of 5 and now plans to read Welcome to Nowhere by Elizabeth Laird. The ending was quite confusing but I likes the general plot and the setting. qianye gave Ink 4 out of 5 and now plans to read Girls Can't Hit by T S Easton. This isn't the type of book I'd usually read, but I actually quite enjoyed it. At first it was just a little bit confusing, but as I got further into it, I found I couldn't put it down! I'd definitely read this book if you want something unusual and gripping as this book is! kaitlyn gave Ink 3 out of 5 and now plans to read Girls Can't Hit by T S Easton. It’s very gripping, even though it is a bit too predictable for me. There are some surprising elements, but it is mainly quite obvious how the book will pan out. Naomi gave Ink 4 out of 5 and now plans to read Dragon's Green by Scarlett Thomas. evie gave Ink 3 out of 5 and now plans to read I Have No Secrets by Penny Joelson. I thought that Ink was a really interesting book.The main story was about Leora's dad and his book that was made from his skin.The fact that it is a magical fiction book makes it sound more informal yet it is very much for adults. Jodie gave Ink 4 out of 5 and now plans to read Girls Can't Hit by T S Easton. I look for faults, I found none. An ending that couldn't be beat. And a world that has lots more to tell. as a debut book it is all you could ask for and more. oliver gave Ink 5 out of 5 and now plans to read Welcome to Nowhere by Elizabeth Laird. I loved this book! My favorite character was Obel because helped Leora a lot throughout the story. This book is quite emotional and definitely puts across the message that family life is difficult sometimes. I can't wait for the sequel "Spark"! Molly gave Ink 4 out of 5 and now plans to read Welcome to Nowhere by Elizabeth Laird. I enjoyed some of this book. I didn't feel any emotion towards the story. Instead of making Leora's life confusing, perhaps Sophie could have said something sooner. My least favourite part to the story was how the Ink people despise the Blanks just because they have no pictures on their skin. My favourite character was Obel because he had a calm influence and could imagine befriending him. I would recommend this book to both Boys and Girls and was an easy read. Joan gave Ink 3 out of 5 and now plans to read The Extraordinary Colours of Auden Dare by Zillah Bethell. Imagine a world where everyone knows your story, it's imprinted on your skin. No escape. Read or be read, which one is it? There are dangers in this world, everybody knows that, THEY are the worst. THEY make you feel anxious. THEY did this. They are the blanks. the blanks will leave a crow's feather in your pocket leaving you with a chill down your spine. That's the world of inking, that's life. Incredibly written by Alice, I would recommend this to anyone. Natasha gave Ink 4 out of 5 and now plans to read Dragon's Green by Scarlett Thomas. Ink was an interesting book and it is very different to the style I'm used to. All the characters I could understand in detail because of the amazing writing and character development. My favourite character was Obel because he was an amazing father figure to Leora and a general heart warming guy. I did not like Oscar because he tricked people and especially Leora as even when she had grown a liking to him he still messed with her emotions in the end. Evan gave Ink 4 out of 5 and now plans to read Dragon's Green by Scarlett Thomas. I think this book was incredibly unique, the way the book was written from dreams or stories and from ‘real’life was a little hard to understand at first, but it because easier as the book went on. I found the first half of the book to slow, the plot twists were to guessable as they were being dragged out over a period of a couple of pages.As the book went on however, it picked up some speed and the plot twist at the end, evnthough very un predicable really didn’t conclude the story at all. This might have been for the sequel to carry on with, however there were too many unanswered questions to make sense of what happened. Leora wasn’t the most likeable character, but i felt compelled to keep reading as i love the way it was written in first person.The book challenges common things in society such as prejudice and discrimination. I really enjoyed this book as a whole, and am excited for the 2nd and 3rd book to come out to conclude the plot. Elizabeth gave Ink 4 out of 5 and now plans to read I Have No Secrets by Penny Joelson. I really liked the description and suspense in this book. I also liked the change in personality in the protagonist. Madeleine Beth gave Ink 4 out of 5 and now plans to read I Have No Secrets by Penny Joelson. This book is quite confusing as you are told lots but it doesn't explain most of them till late on in the book. I would prefer if a more in depth explanation of flaying and other jobs was given as lots of information is given on inking but lots of other jobs are left in the dark! Bob gave Ink 4 out of 5 and now plans to read Dragon's Green by Scarlett Thomas. ( which is another way she is portrayed a strong ).My favourite part in the book Is the section where she begins unravelling the truth.now I donâ€™t want to give away too much but I think the way that the reader slowly realises the main story line is really very clever.I think the author is very strategic in the way that she writes the book as sheâ€™s doesnâ€™t give away too much.The main characters friend ( I wonâ€™t give away there name) is also very supportive to the main character which I find is helpful towards the reader. To conclude, ink has twists turns and is one of the most mysterious books that I have ever read and would highly recommend it. Captivating that is ink summed up in one word and it is meant deeply! Elycia gave Ink 5 out of 5 and now plans to read The Extraordinary Colours of Auden Dare by Zillah Bethell. I loved how she introduced the main characters. I also liked how the plot went from being good to bad really quickly as it kept me reading. My favourite part was when the main character met a boy in the museum for the first time. I would recomend this book to anyone who loves to read books about adventure and feminism. It has been my favourite book to read so far, and the cover is AMAZING! Charlotte gave Ink 5 out of 5 and now plans to read Girls Can't Hit by T S Easton. i really enjoyed this book. on every page there is a new emotion:scared, excited, worried.it is full of drama and excitement and it even made me cry in some parts, it was really emotional. i definitely recommend this book. isabel gave Ink 5 out of 5 and now plans to read Girls Can't Hit by T S Easton. Maryam gave Ink 5 out of 5 and now plans to read Girls Can't Hit by T S Easton. I thought this book was quite interesting as many different plot twists occurred, which made me want to read the book more and not put it down! Leora was a very strong character and that is why I really liked this book. It was about tattoos from the start to the end of the book and if you don't really like books that stick to one subject throughout then this book is not for you. Malaika gave Ink 4 out of 5 and now plans to read Welcome to Nowhere by Elizabeth Laird. What an original book. Although it was a little too descriptive and i thought it could have done with a little more action and drama at the start of the book, however i still thought it was a great book. Amber gave Ink 4 out of 5 and now plans to read Girls Can't Hit by T S Easton. Before I read this book I was told that it was disturbing. I was disappointed. The subject matter as a theme is somewhat disturbing with people's skin being cut off but the act is never shown. But back to the book. My only major complaint is that the character suffers from major changes of opinions. Sam gave Ink 3 out of 5 and now plans to read Dragon's Green by Scarlett Thomas. I really enjoyed reading this book. The story had lots of gripping twists that occurred when you were least expecting them. It is beautifully written and has an amazing plot that makes you want to keep reading. It is a very unique tale about beliefs, finding the truth and knowing who you can trust. Olivia gave Ink 5 out of 5 and now plans to read I Have No Secrets by Penny Joelson. Ink is an intriguing dystopian story, the first of an upcoming trilogy,set in a world where your life is marked on your skin. The worldbuilding was my favourite part of the book because The idea of the skin books were different from anything else I've read.Many aspects of this book are similar to divergent, so any fans of that would probably enjoy this. The ending was very underwhelming and predictable when they find out they are the 'chosen one' and 'special', although I am excited to see where this takes us in the sequel. The fairy tales dotted randomly throughout I enjoyed on the most part, as it was emersive into the setting. The cover is one of the most beautiful I've seen, and overall this book is definitely worth the read. Martha gave Ink 4 out of 5 and now plans to read Dragon's Green by Scarlett Thomas. Can you imagine a world where everything you do, every move you make and every step you take is recorded on your skin? From the day youâ€™re born marks are imprinted on your skin to show everything you do. That is where Leora lives. For once she has a secret, something that could lead to whether her beloved father is forgotten or not. Ink is a story of love, peace, courage and cowardice. Ink was very good and well written plus amazingly crafted. At most points throughout this book I wanted to keep turning the pages. Plot twists were well placed in all chapters of the book. I can`t recommend this book enough. Helen gave Ink 4 out of 5 and now plans to read I Have No Secrets by Penny Joelson. I loved this book because it was creative. And I loved the tatoo culture. Gloria-Alida gave Ink 5 out of 5 and now plans to read I Have No Secrets by Penny Joelson. Firsly, i really enjoyed the authors writing style (including the choice to write in then first person). I thought it went well with the concept of the book. In the book's universe, everyone is tattooed - "marked" - to show their personality. Not being marked has severe consequences, and our protagonist - Leora - must questions these social normalities.This serves as the main plot point; I quite liked this because this idea is quite unique, with an unpredictable plot. The characters all served their purpose, and it's very easy to relate to Leora. Luckily, none of them felt like clichÃ©s! Overall, a highly interesting read; I'm definitely looking forward to a sequel! Eva gave Ink 5 out of 5 and now plans to read Dragon's Green by Scarlett Thomas. Ink is a very good book with an amazing storyline, some of the twists in the book really make it interesting and the thought of having all of your achievements tattooed on to your body is an amazing idea (unless you've done something bad).I think some off the ideas in the book are quite creepy though. Overall I think it is a very good book. Kaiden gave Ink 4 out of 5 and now plans to read I Have No Secrets by Penny Joelson. Wow, just wow. It is a brilliant story beautifully written. It has an amazing plot and kept me reading. I couldnâ€™t put it down! Dee gave Ink 5 out of 5 and now plans to read Dragon's Green by Scarlett Thomas. Ink is one of the best books I have ever read.I loved the mystery and adventure that covered it. 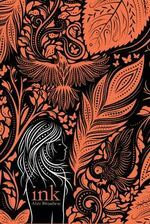 I found it fascinating how it was based in a fantasy world yet it included some characteristics in our world too.My favourite part was when Leora decided that she wanted to do inking.This book was so good and I hope that Alice Broadway will write a sequel. Sophie gave Ink 5 out of 5 and now plans to read Dragon's Green by Scarlett Thomas. Ink is quite literally a beautiful book. It is very well written in that it lets you into Leaora's little world of emotion, making you feel every tear, every heartbreak, her confusion and her fear and most importantly:Hope .The plot was never predictable, twisting and turning in every direction and making the plot twists increasingly dramatic as the story unfolds. You could take this book in many ways but I didn't think it was based around tattoos as I originally thought, I though this book was about taking the right path, and the innocence and reality of making mistakes. Overall I found it, though not perfect, to be an enjoyable and emotional experience to remember. Poppy gave Ink 4 out of 5 and now plans to read Welcome to Nowhere by Elizabeth Laird. This book kept me on edge as there are many plot twists. I enjoyed following her throughout the book and learning more about her family and her past. I guess the only bad thing was that it was slightly confusing at the end but eventually it made sense. I'd advise people to keep on reading at the end part so you have a clearer understanding of what's going on. Overall a good book. Evie gave Ink 5 out of 5 and now plans to read Dragon's Green by Scarlett Thomas. Wasn't the best of books that I have read. Its was an okay book but wouldn't read it again as I didn't really like it until the end and that's the only part where I liked it enough to get the plot. Bethany gave Ink 3 out of 5 and now plans to read Girls Can't Hit by T S Easton. I found that ink had an interesting view on an alternate society and liked how it made you believe that this sort of way of life could actually exist, yet I found the book didn't fully grasp me until near the end and by the time I had fully started to get into it the plot it finished. Overall though I found the book enjoyable and I am glad that I read it. Hannah gave Ink 3 out of 5 and now plans to read The Extraordinary Colours of Auden Dare by Zillah Bethell. I loved this book because it has a very powerful message...It is really different from all the other books I have read.The story takes you on an emotional roller coaster.It was a gorgeous story. Maria gave Ink 5 out of 5 and now plans to read Girls Can't Hit by T S Easton. Anna gave Ink 5 out of 5 and now plans to read The Extraordinary Colours of Auden Dare by Zillah Bethell. I think that ink is very interesting as any event that makes you who you are is written onto your skin for all to see in the form of a tattoo. It also covers stereotypes and discrimination in the form of the marked and the blanks and their differences. Especially so when the main character - normally someone who dislikes the blanks - learns she is part of their group but by the end learns to embrace it. I would thoroughly recommend it to anyone looking for a fantasy book. Jem gave Ink 4 out of 5 and now plans to read The Extraordinary Colours of Auden Dare by Zillah Bethell. I think Ink is an amazing story and I love how as I read it I can feel what the main character,Leora,is feeling and can understand her emotions. I felt extremely proud of her when she stood up for what she believed. She'd be a good role model for other girls. It took me a while to work out that 'inking' was a bit like their religion. I was happy after it was explained how it was part of their history but before it was a bit confusing. I am really glad this is the first book in a trilogy because I really enjoyed it and there were some questions left unanswered. Sam gave Ink 5 out of 5 and now plans to read I Have No Secrets by Penny Joelson.